hi, I'm maribeth helen keane and I'm so glad that you've found me here in this little corner of the internet world where I share healing wisdom for self-care & reconnection. to help us all remember the innate wisdom of our own bodies to heal, to (re)connect with the rhythms of the earth and the medicine of the plants, to give us all permission to speak our truths and explore a softer way of being together on this earth that is more informed by love than anything else and to help us remember that we are never alone on this path, always a part of this earth that holds us, a thread woven through the ancient web of magic that is being a human in a body connected to all that shifts within and without us, personally and collectively. you can follow along and read more @maribethhelen or sign up for my Patreon where I share essays and plant-based wisdom for deeper healing personally & collectively. I also send out a monthly newsletter with interviews from healers and creators about their own practices of self care. 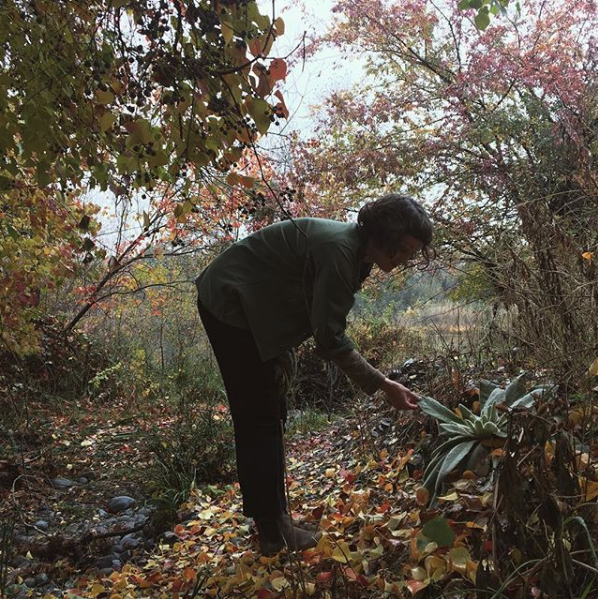 I have been studying under the guidance of the plants for several years and am grateful to share what I have learned and am always in the process and practice of learning. I do much of this through my writing and occasional teaching here in California. after studying photography in college, I embarked on a search for self that eventually led me to setting down my camera and connecting directly to the land and to the plants that grow here alongside us, ancient healers and wisdom keepers. the plants were my direct connection back to the innate wisdom of my own body, to the ability and the right we all have to heal, to the stories and guidance of my ancestors and beyond that, a deeply spiritual connection to this earth that holds us. my work is in honor of this path, the truth that connection brings with it, and a re-membering that life is worth paying attention to, worth finding joy in, slowing down for, and that it is so so possible heal. I want you to know that, to believe it and witness the profound magic that is learning how to communicate with the plants and with our own bodies for deeper healing, personally, collectively, planetary.